Providing you the best range of stainless steel wine glass rack, ss 6 holes cutlery basket holder and ss 4 holes cutlery basket holder with effective & timely delivery. Our clients can avail broad gamut of Stainless Steel Glass Racks and Holders including Stainless Steel Wine Glass Rack that is designed for storing wine glasses with stems in a professional and organized manner. 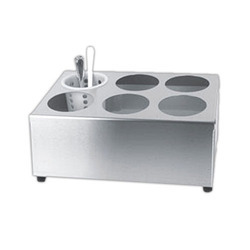 These are very useful in busy restaurants and bars to facilitate flawless service. These are elaborately designed and manufactured by using new age technologies in state of the art facilities. 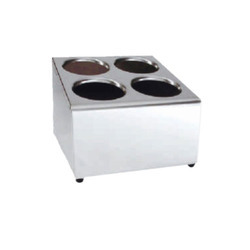 Our vast industry experience of manufacturing, supplying, and exporting a wide spectrum of Stainless Steel Glass Racks and Holders has empowered us to offer SS 6 Holes Cutlery Basket Holder that has been designed for professional appeal and easy storage of six pieces of cutlery. We use the finest grades of stainless steel for elegant appeal and durability. These quality tested products can be availed at very reasonable prices by our patrons. Leveraging on our sound experience of manufacturing, supplying, and exporting an impressive assortment of Stainless Steel Glass Racks and Holders we are presenting SS 4 Holes Cutlery Basket Holder that is crafted for professional look and seamless storage of four pieces of cutlery. These are made by using the finest grades of stainless steel for graceful appeal and long functional life. We follow rigid quality norms and offer these at very reasonable prices. 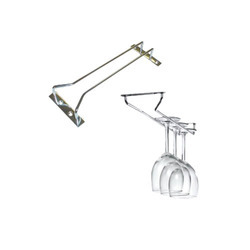 We are offering an amazing array of Stainless Steel Glass Racks and Holders including Stainless Steel Wine Glass Rack that is suitable for storing wine glasses with stems in a proper and organized manner. These are very useful in busy establishments and facilitate quick service. These are intricately designed and made by using cutting edge technologies in our modern facilities. These can be easily mounted on wall and have a long service life. 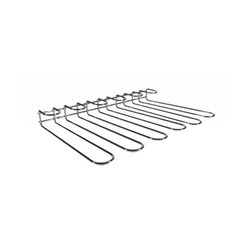 Looking for Stainless Steel Glass Rack & Holders ?